Korea 50K 2016 | JustRunLah! 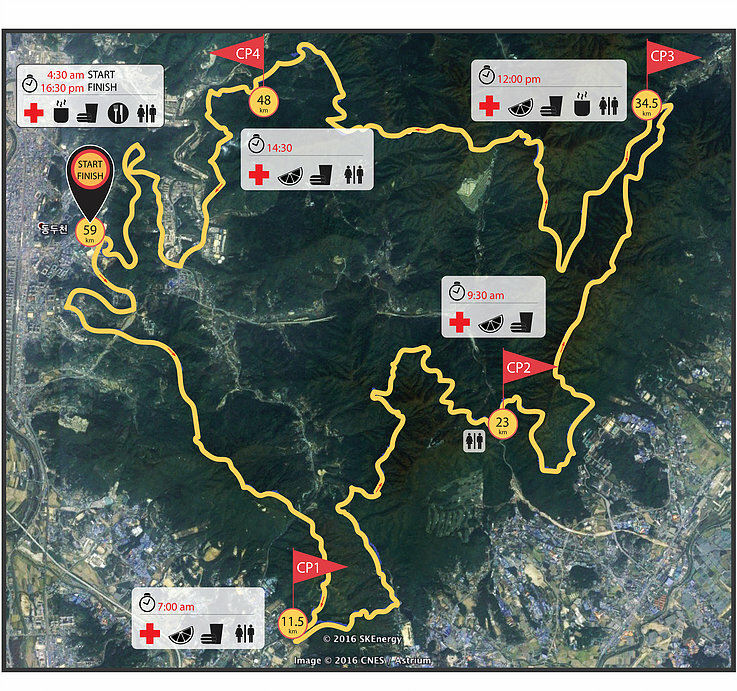 Korea 50K is an international non-stop endurance trail running race. The race launched the 1st edition in May. 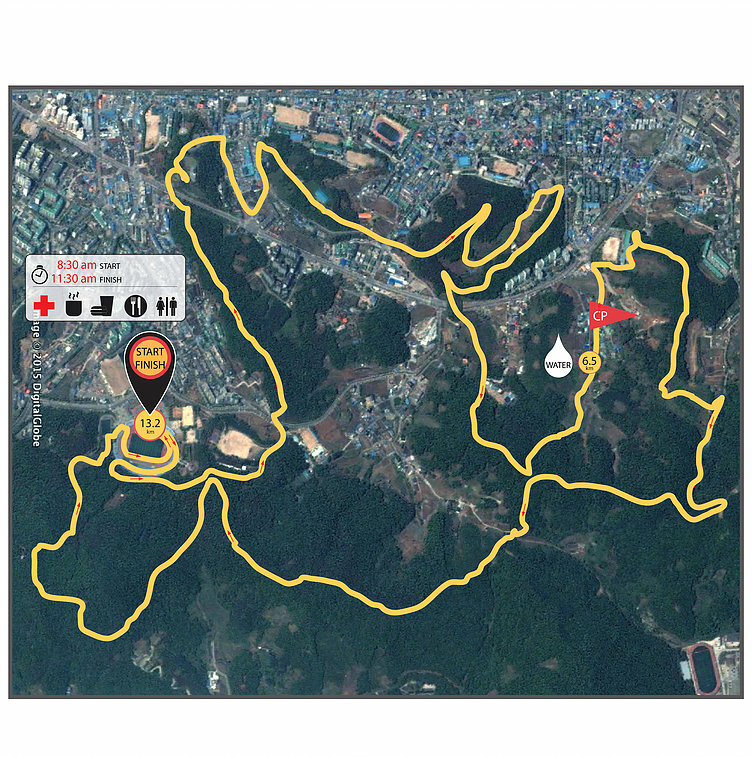 2015 as the 1st non-stop ITRA authorized trail race in Korea and held in capital city, Dongducheon, within an hour distance from Seoul. The terrains are completely suitable for running with no long rocky or bumpy section and panoramic views from 4 peaks will always be your refreshments. This charming race will be motivational and enjoyable to all trail runners.